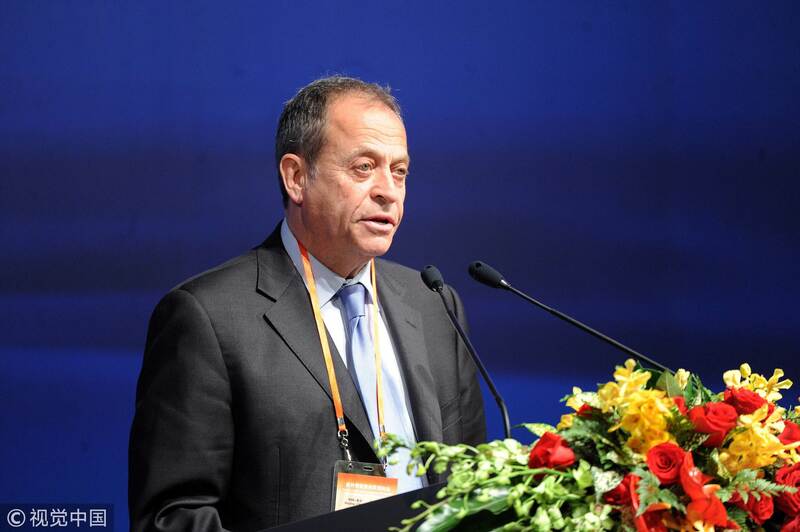 Stephen Perry, chairman of 48 Group Club, a British business association committed to promoting China-UK trade, was awarded the China Reform Friendship Medal at the conference marking the 40th anniversary of China's reform and opening-up at the Great Hall of the People in Beijing on Tuesday. Perry is one of the select groups of people who played a significant role in breaking the ice in the two major countries' trade relations, and a lifetime contributor to bridging ties between China and the Western world. In the early 1950s, Stephen's father Jack Perry, founder of London Export Corporation, led 48 British businessmen who later formed the precursor of the 48 Group Club, to embark on a historic mission to Beijing. The group delivered trade links to China, despite multiple hurdles including a U.S.-led Western embargo on the newly founded Asian country. The younger Perry first visited China during a trip to Shanghai in 1972, when China and Britain established diplomatic ties. At around the same time, China-U.S. relations began to thaw with the visit of then U.S. President Richard Nixon. 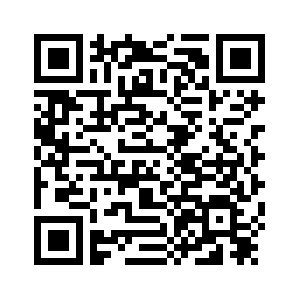 Perry helped seal the first trade deal between America and China with his father, for selling U.S. products including polyester, agricultural chemicals and cotton. It was also when he made his lifelong decision to dedicate himself, like his father, to improving China-UK trade relations. 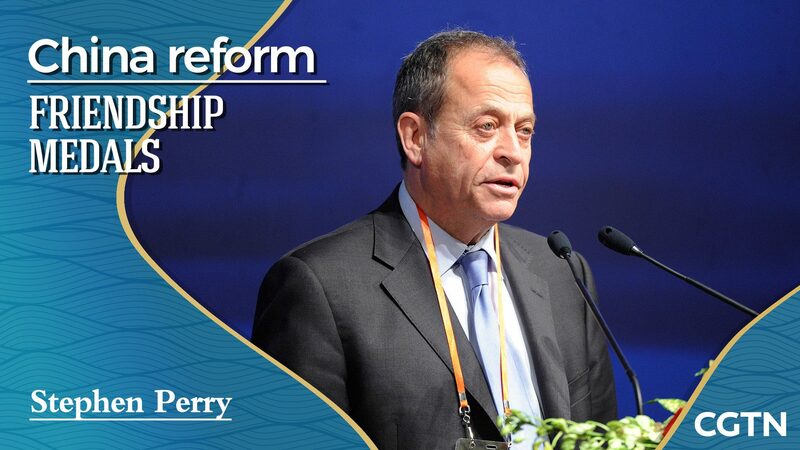 Since then, Perry has witnessed the miraculous achievements China registered over the past four decades thanks to the reform and opening-up. More than six decades after the "ice-breaking mission," the 48 Group Club led by Perry continues its efforts to promote positive China-UK relations. The club now has over 600 British and Chinese members, including senior executives from corporate organizations, high-level politicians, diplomats, academics and groups focusing on cultural exchanges. 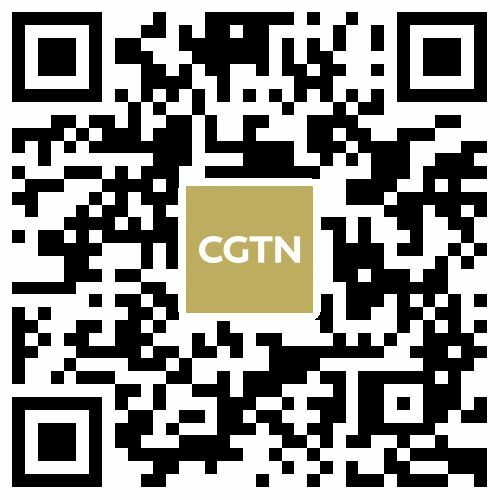 He told Xinhua in a recent interview that the 48 Group Club has played a vital role in helping reduce the "cultural deficit" between China and the Western world. 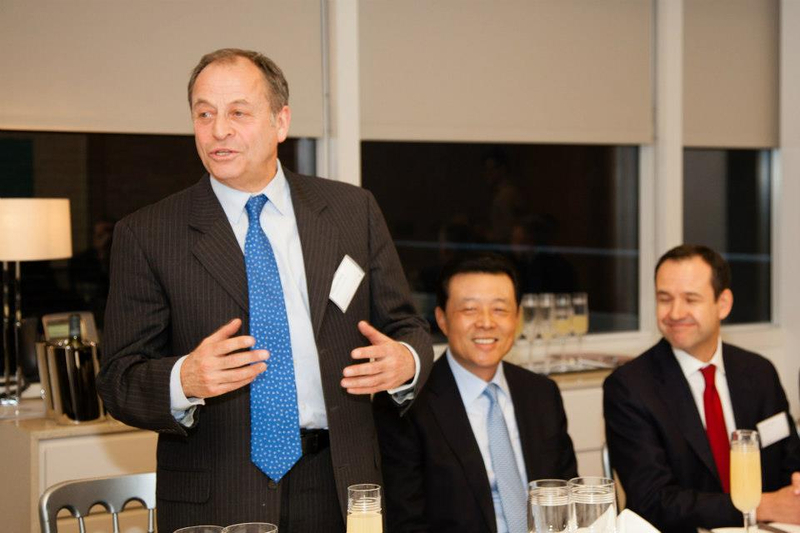 The club organizes meetings on a regular basis on China-UK relations, and its efforts span across Britain, Europe and the U.S.
As an outspoken friend of China, Perry often appears on TV and newspapers to express his understanding of China and his vision of the world with the benefit of China's growth. He spoke highly of China's Belt and Road Initiative and the notion of building a community with a shared future for humanity raised by Chinese President Xi Jinping. 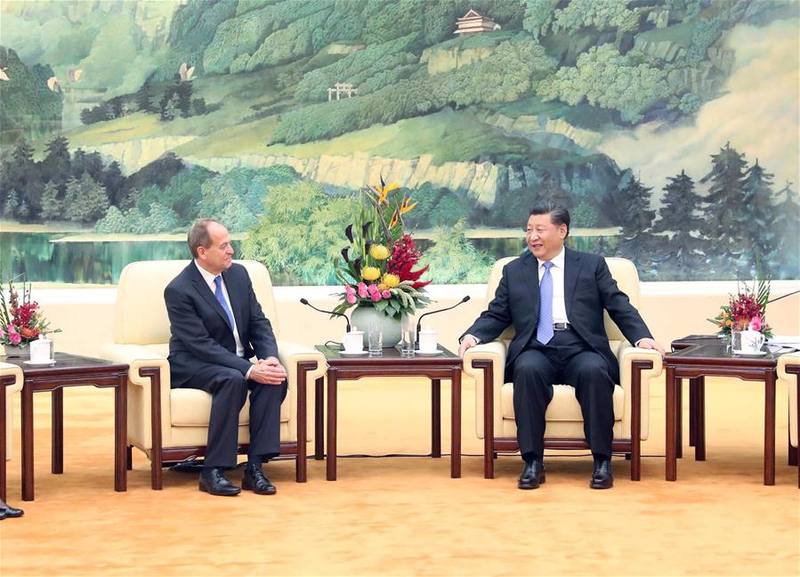 Earlier in October, Xi received Perry at the Great Hall of the People in Beijing and hailed the "ice-breaking trip" made by Perry's father and his team of far-sighted members of the British business community. "I'm very glad to see the spirit of the 'ice-breaking trip' is being carried forward from generation to generation," Xi said, referring to the 48 Group Club's continuous enthusiasm for cultivating the friendship between the two countries. He said the China-UK friendship has been deeply rooted in the peoples of the two nations today, and it has become a consensus shared by the two governments and peoples to develop the "Golden Era" of bilateral ties.